Arguably the funnest, best-produced, and most adventurous half iron-distance race in North America, the Great White North Triathlon in Stony Plain, Alberta is still open! There’s plenty of time to register and book an easy flight into Edmonton, or Calgary if you want a spectacular drive with the possibility of an aprés race diversion through Banff. Race day is July 8th, but Mike and his crew put on two days of events that give the weekend a family feeling alá Tri California Events@ Wildflower Triathlon Festival. In fact, the primes and giveaways at the familial carbo load dinner (everyone goes) are so upper shelf that a fat bike is given away to any lucky duck who wins the oh-so high-tech heads-or-butts competition. Join CBCG-ers! Coach Chris, who took the tape in 2016, is competing again, along with Amy VT and Matthew Feldmar. Not enough incentive? How about a significant discount? Just contact anyone at CBCG and we’ll hook you up. Holy Moly you’d be honored to tick off this bucket list race! Professional and age group triathletes, alike, will revel in this thrilling format, a departure from typical races that synthesizes the components of stage races, short-course ITU, and long-course racing. The inaugural Super League Canada takes place August 17-19 in our favorite racing town, Penticton, B.C., and serves as a qualifier for pro athletes looking to grab a lucrative contract for the Championship series, and age group athletes seeking a totally awesome weekend with three days of racing. Mike is no stranger to directing a powerhouse international triathlon over the course of several days in Penticton. He was at the helm of last year’s ITU Multisport World Championships, which attracted record numbers of participants and the top names in professional athletes and sponsors. “Mike Brown is the only celebrity I talked to at Kona this year.” Someone in the CBCG community uttered this phrase last fall, making it official: Mike is a legend. Directly intertwined with his success is the fact that he’s also a tremendous, steadfast, and hilarious friend. When Mike visits us here in Portland he marvels at the hour-long lines at overpriced ice cream shops, birds swirling into chimneys as hipsters spectate, and, well, hipsters in general. As with any good leader, friends and family are central to Mike’s endeavors, and at any race you can see his alarmingly beautiful wife working like mad, his close friends Jenny Ayers and Stan Anderson making everything work behind the scenes, and Darren Hailes and the legendary Steve King announcing dawn-to- dusk. They’re all running around on foot, and golf cart, and four-wheeler with walkie-talkies, addressing everything from road closure misdemeanors to athletes exposing themselves inappropriately pre-swim. In an era of big-name triathlon series, and profit-oriented race monopolies, Mike Brown maintains a vestige of high-quality experiences. 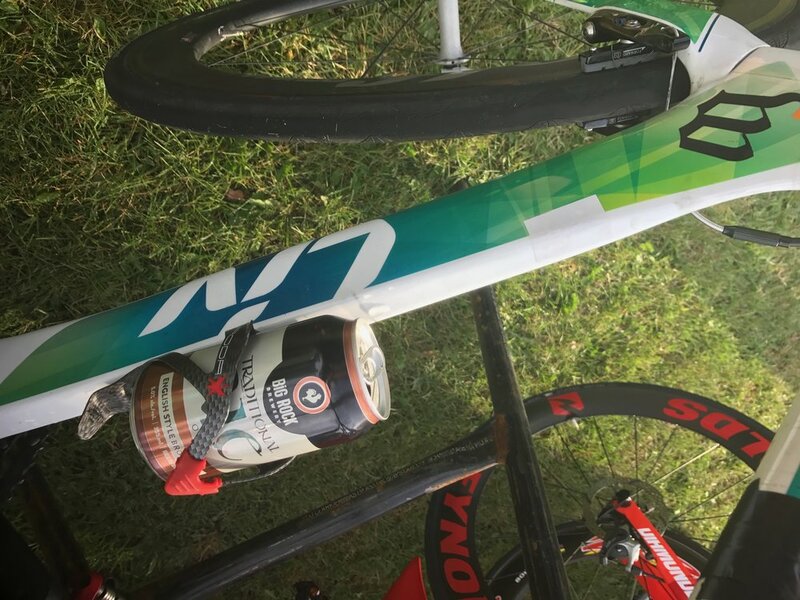 Where else could you race a world-class tri where the Race Director plants a beer in your water bottle cage the night before?